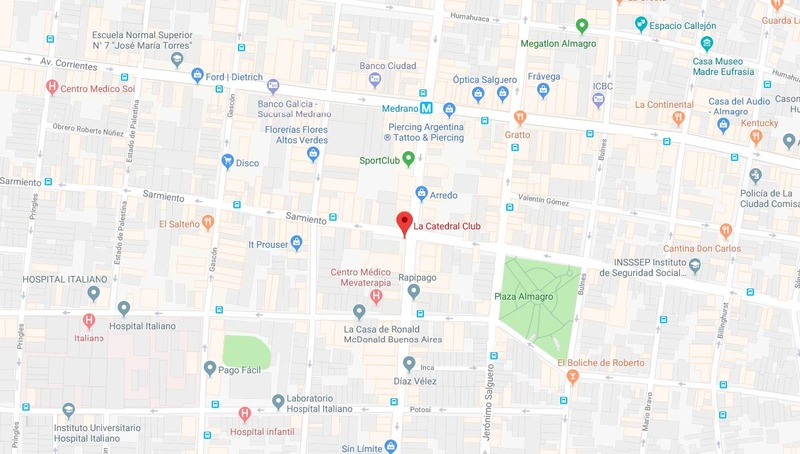 The marathon will be held at the famous La Catedral dance club, located in the heart of the heart of the Almagro barrio. 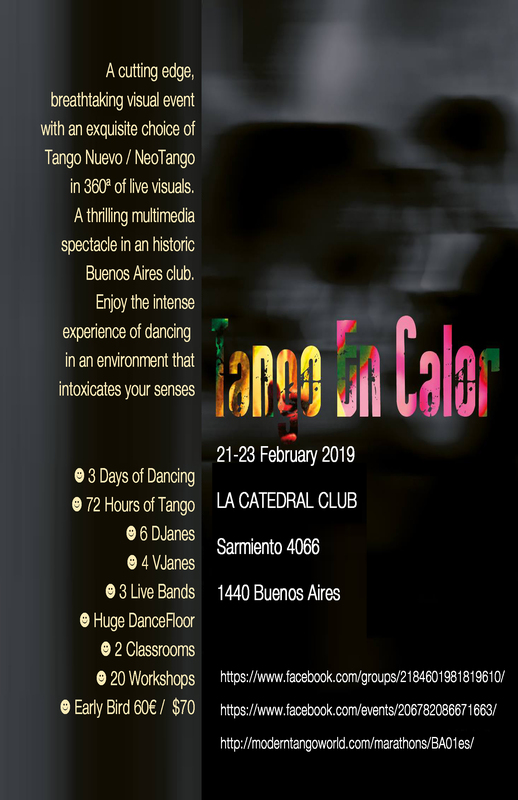 For a backgrond story on La Catedral, see La Catedral, the Bohemian Temple of Tango. 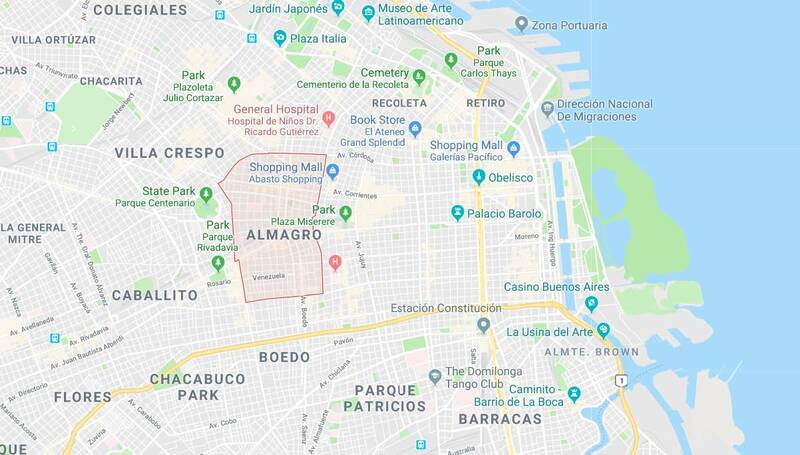 Almagro is a friendly neighborhood, surrounding Almagro park, with plenty of shops, restaurants, hotels, etc. It is located in the center of Buenos Aires with easy access to and from anywhere in the city. La Catedral, itself, is located next to Parque Almagro, at Sarmiento 4006, It is near the Medrano Subway Station (Subte B). In addition, the following bus lines ('colectivos') run nearby: 19, 24, 26, 36, 71, 92, 99, 105, 109, 124, 127, 128, 146, 151, 160, 168, 180 . The 151 runs diagonally across the city and connects many of the popular tango venues. 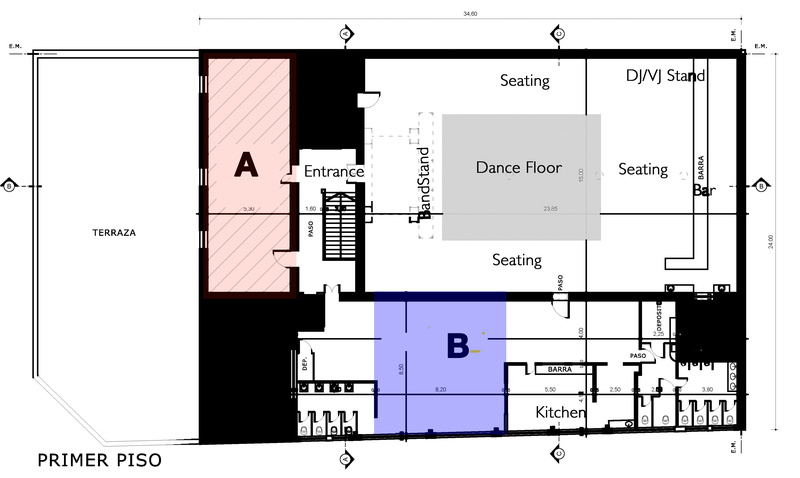 The Catedral Club includes several spaces.